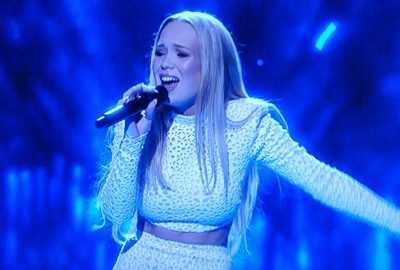 Agnete Johnsen, Norway’s candidate in this spring’s Eurovision Song Contest, withdrew from all public appearances tied to the event after suffering an acute bout of mental health problems. Now she’s won a prize for being so open about them, but still wasn’t well enough to accept her prize in person. “I really wish I could be there to receive the Åpenhetspris (Openness Prize, awarded by Norway’s national mental health organization Mental Helse),” Johnsen wrote in a letter thanking the organization that awarded the prize for 2016. The prize ceremony was held Monday at the National Theater in Oslo and included a conference on why it’s important to be open about mental health issues. News bureau NTB reported that Johnsen wrote in her letter about how she became so ill just before the huge Eurovision show that was held in Stockholm in May, that she had to drop out of all pre-show parties, press conferences and other events. She did perform her song Icebreaker, but failed to advance to the final. At an age of just 22, Johnsen is already well-known in Norway. While still in her early teens, she won both the Norwegian and Nordic final of the Melodi Grand Prix Junior contest, as vocalist in the band The Black Sheeps. Melodi Grand Prix is the Norwegian version of Eurovision. In addition to being selected to compete in Eurovision itself, she also won a role in the TV Norge show 71 grader nord (71 degrees north). When she had to withdraw from it last year, she spoke openly about how she has suffered from depression and other psychiatric ailments for several years. The Mental Helse organization called Johnsen “a worthy winner” of its prize for openness, adding that she showed great courage by talking about the pain of mental illness when it actually is painful. The organization is concerned that it’s still taboo for many to speak about their own psychiatric health problems. Through increased openness via media channels, Johnsen has helped fight any stygmas about mental illness, the organization wrote, and can encourage others to choose to take contact with family, friends or professionals to tell them that they’re struggling. Johnsen’s prize consisted of an artwork and a donation of NOK 10,000 to be made to the charity of her choice. She chose the Vadsø Youth Center, not far from her home in Northern Norway, because it helps youth in Finnmark who struggle to get along with others.